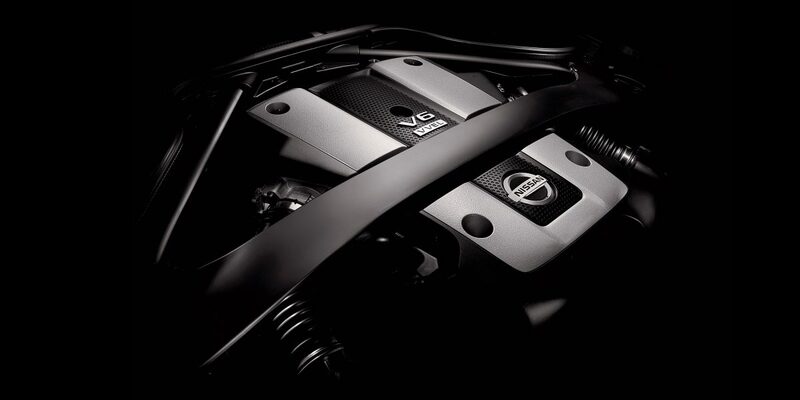 Powered by the 4th-generation VQ V6 engine, this 328-ps dynamo is 3.7 litres of massive muscle that generates 363 Nm of torque – and pure exhilaration from idle up to the 7500-rpm redline. 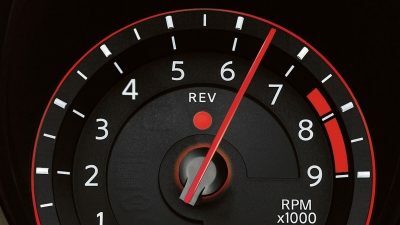 The 370Z features Continuously Variable Valve Timing Control System (CVTCS) with advanced Variable Valve Event and Lift (VVEL) technology that continuously tunes valve lift and timing for quicker response and a broader torque curve, while optimising fuel efficiency and reducing emissions. More power. Less weight. The recipe for exhilaration. High-tech materials abound, including a carbon-fibre composite driveshaft that’s not only incredibly strong, it also helps the engine rev more quickly. 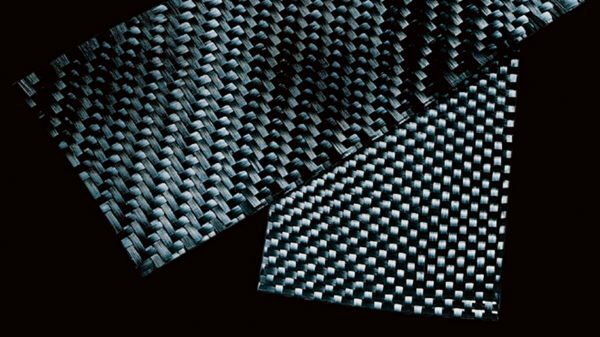 A carbon-fibre composite radiator support structure also helps save weight. For throwback thrills and endless smiles, this quick-shifting manual is just the ticket. Outfitted with available SynchroRev Match technology, it helps you shift like a pro for a smoother, controlled drive on your favourite twisty road or your daily commute. The Nissan 370Z is constantly being improved to raise the bar – and raise your driving enjoyment. 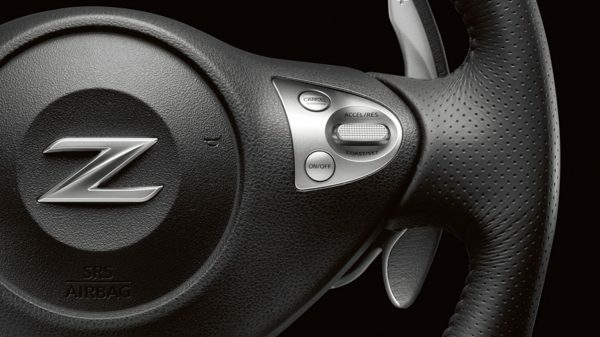 For 2018, every Z with manual transmission enjoys a new EXEDY clutch, for reduced pedal effort and enhanced precision and control. 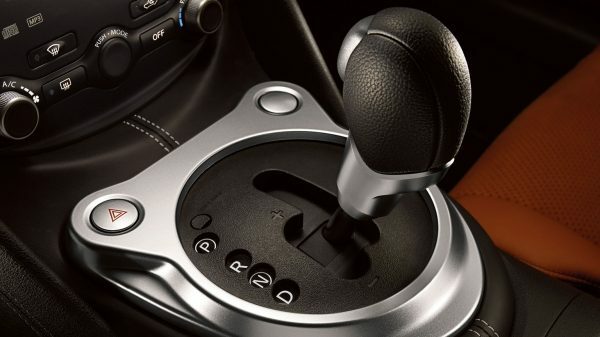 370Z’s 7-speed automatic transmission gives you a wide spread of gearing and improved fuel efficiency. With a choice of driver-selectable modes, you can custom-tailor your driving experience like never before. Select Manual mode and enjoy manual-style control with a nudge of the shift lever or a pull of the lightweight magnesium paddle shifters. Drop a gear and Downshift Rev Matching blips the throttle, making you feel like a pro. 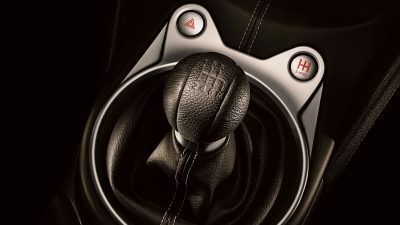 The transmission can even downshift before a corner for more effective braking, or hold a gear in cornering for better balance. 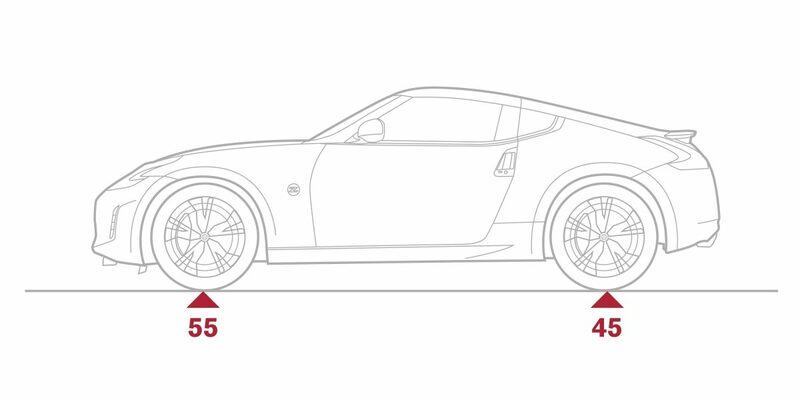 With the engine’s centre of mass pushed back behind the front axle and the front wheels moved closer to the corners, the Nissan 370Z is built for balance and handling. Some consider a static 50/50 balance to be the perfect weight distribution for handling. 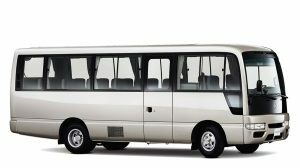 But Nissan engineers realised that a 55 front/45 rear static ratio is actually ideal. 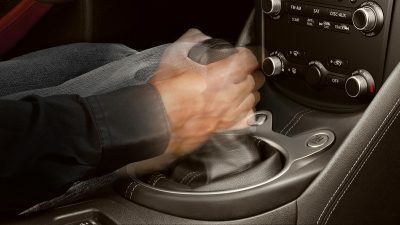 That's because, at the precise moment the driver accelerates out of a corner’s apex, the weight distribution shifts rearward and becomes an approximate 50/50 balance. This translates into enhanced tyre contact for better acceleration, quicker turns, and a handling feel that’s uniquely Nissan Z. With an enthusiast’s wish list of high-performance componentry, the Nissan 370Z turns braking and handling into pure performance art. A great sports car shouldn’t just exhilarate, it should also inspire confidence. 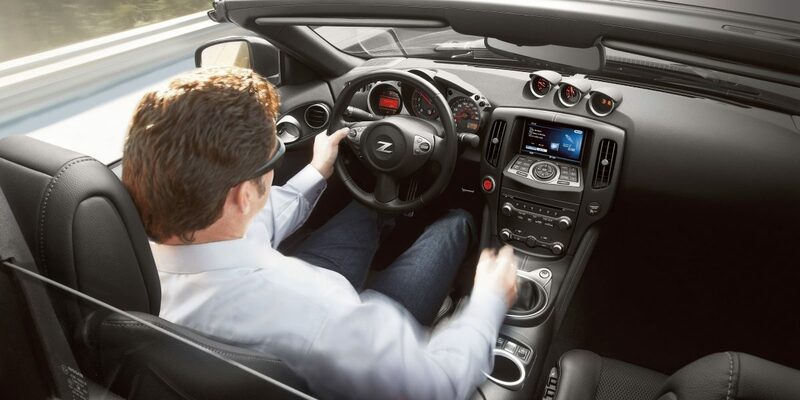 Vehicle Dynamic Control (VDC) on the Nissan 370Z continuously monitors the speed of each wheel, steering angle, yaw, lateral g-forces, and even braking pressure. It compares the data to the steered vehicle path and, if it senses the onset of understeer or oversteer, brakes individual wheels and/or reduces engine power to help keep you on course. 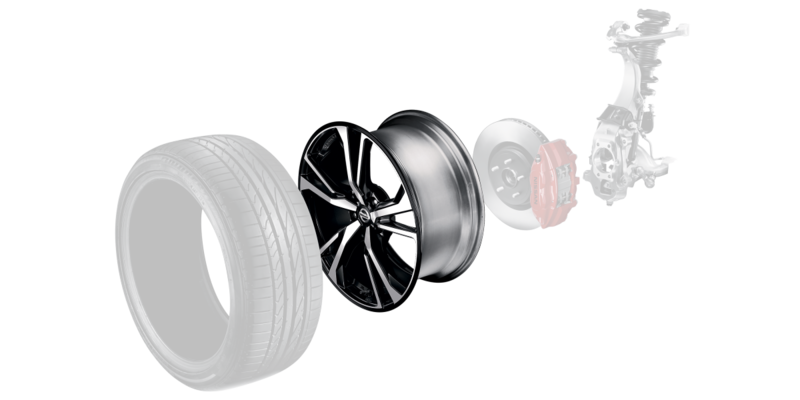 Standard 19" Bridgestone Potenza tyres deliver new levels of roadholding grip. Available RAYS forged alloy wheels are stronger and lighter than typical cast wheels. 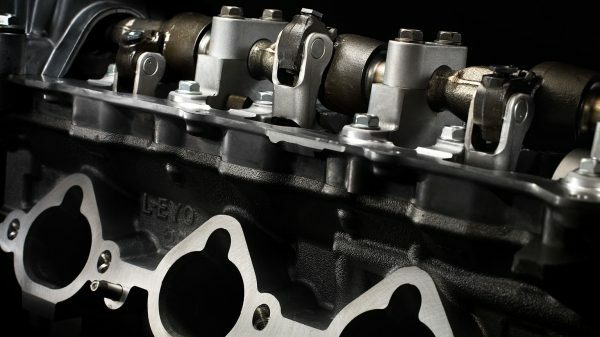 Because they result in less rotating mass on the driveshaft, they help the engine rev quicker. A new design for 2018 makes them even more attractive. available 355-mm front rotors, with the gripping power of 4-piston front calipers. helps keep the tyres vertical to the ground for maximum contact – and maximum thrills through corners.